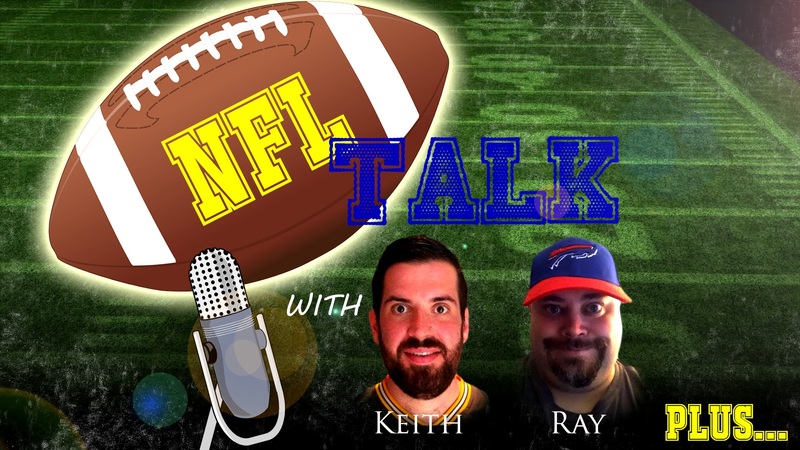 NFL Talk Plus Episode 17 – Free Agent Frenzy Has Begun!!! Ehnother Podcast Proudly Presents: NFL Talk Plus Episode 17! This week’s show is a MONSTER of a show. Sadly, Keith could not make it for recording which is why the show is a bit late this week. However, joining me from the NFL Pick ‘Em Show is our resident Bears fan… Adam. Thank you Adam for stepping in this week. Fastlane was not a great PPV, so not talking about it, sorry. Also, there was just SO much news out of the NFL that it didn’t make sense to waste time talking anything but NFL. Free Agent frenzy hit this week, and it has been a busy one so far. There have been trades, cuts, signings and even some suspensions. Adam and I tell you all about them here. This entry was posted in NFL Talk Plus and tagged A.J. Bouye, Aaron Williams, Alan Branch, Alfred Morris, Alshon Jeffery, Andre Branch, Andrew Whitworth, Antoine Bethea, Arizona Cardinals, Baltimore Ravens, Barry Church, Brandin Cooks, Brandon Flowers, Brandon LaFell, Brandon Marshall, Brandon Williams, Brian Hoyer, Brock Osweiler, Buffalo Bills, Calais Campbell, Carolina Panthers, Chad Greenway, Chandler Catanzaro, Charles Johnson, Chicago Bears, Chris Baker, Cincinnati Bengals, Cleveland Browns, Connor Barwin, Cory Graham, D.J. Fluker, Dallas Cowboys, Dan Carpenter, Danny Woodhead, Davon House, DeAndre Levy, Denver Broncos, DeSean Jackson, Detroit Lions, Dwayne Allen, Elvis Dumervil, Fastlane, Football, Garrison Sanborn, Gerald Christian, Goldberg, Green Bay Packers, Houston Texans, Indianapolis Colts, J.J. Wilcox, Jabaal Sheard, Jack Doyle, Jacksonville Jaguars, Jay Cutler, Jay Gruden, Jeremy Kerley, Jermaine Gresham, Joel Bitonio, Jordan Cameron, Jordan Poyer, Julius Peppers, Keith, Kelvin Beachum, Kendall Wright, Kenneth Dixon, Kenny Britt, Kenny Stills, Kevin Zeitler, Kirk Cousins, Kony Ealy, Kyle Juszczyk, Ladarius Webb, Larry Warford, Lawrence Timmons, Letroy Guion, Logan Ryan, Lorenzo Alexander, Los Angeles Chargers, Los Angeles Rams, Maclolm Butler, Martellus Bennett, Matt Cassel, Matt Kalil, Miami Dolphins, Micah Hyde, Mike Gillislee, Mike Glennon, Mike Tolbert, Minnesota Vikings, New England Patriots, New Orleans Saints, New York Giants, New York Jets, NFL, NFL Talk, NFLPA, Nick Fairley, Nick Perry, Nickell Robey-Coleman, Patrick DiMarco, Philadelphia Eagles, Phillip Thomas, Pittsburgh Steelers, Prince Amukamara, Ray, Ricky Wagner, Robert Griffin III, Robert Woods, Ronald Leary, Russell Okung, San Francisco 49ers, Scot McCloughan, sports, statistics, Stephon Gilmore, Steven Hauschka, Stevie Johnson, Tampa Bay Buccaneers, Tennessee Titans, Terrelle Pryor, Tony Jefferson, Tony Romo, Torrey Smith, Trumaine Johnson, Tyrod Taylor, Vernon Davis, Warlock Hour, Washington Redskins, William Gholston, William Hayes, WWE, WWE PPV. Bookmark the permalink.